When shopping for the ideal sunwear for kids, it’s best to buy sunglasses that block 99-100% of UV rays. Another rule of thumb is that the more skin covered by the sunglasses – the more efficient the protection. Think wraparound designs for high coverage. Kids nowadays are tuned into their own fashion sense and expression. 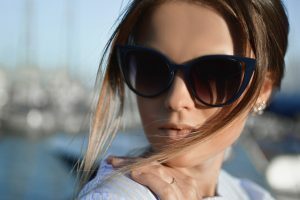 Save yourself loads of time and energy by letting them choose their own trend-setting sunglasses. They’ll look forward to showing off their new style, and soon all their friends will be sporting sunglasses too. Watch our Sunwear Video for more information.